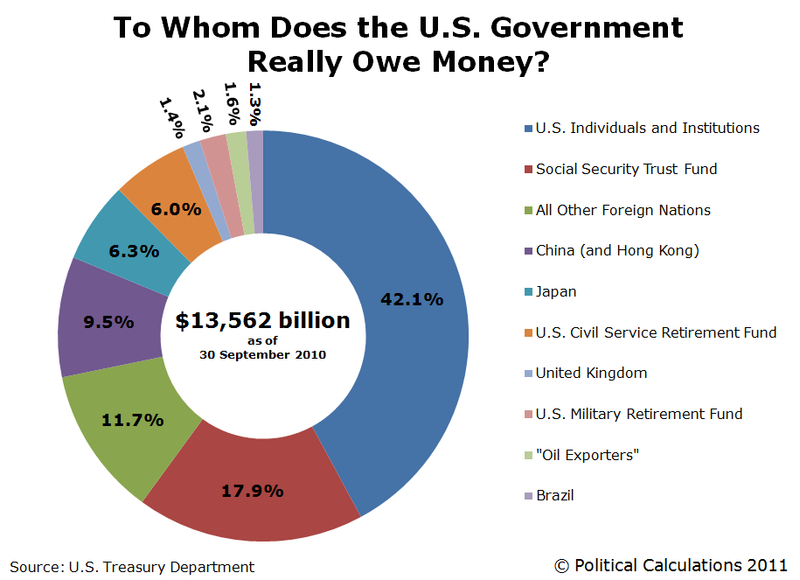 To Whom Does the U.S. Government Really Owe Money? The main differences from the chart we previously featured are that China’s holdings are much greater, while the United Kingdom’s holdings are much smaller, which is a result of a number of Chinese institutions using banks in the United Kingdom as intermediaries for purchasing and holding U.S. government-issued debt. As a result, China’s real U.S. debt holdings now account for 9.5% of the entire U.S. national debt outstanding (nearly 1 out of every 10 dollars the U.S. government has borrowed), instead of the 7.5% that was previously recorded. Meanwhile, the U.K.’s recorded holdings have shrunk by a corresponding 2.0% of the entire U.S. national debt as a result of this accounting adjustment. 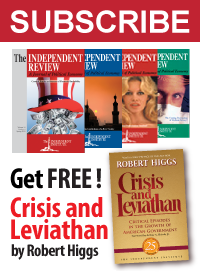 We found that as of September 29, 2010, the Federal Reserve held 966 billion dollars of the U.S. national debt in the form of U.S. Treasury Securities or Federal Agency Debt Securities, which represents 16.9% of all U.S. individual or institutional debt holdings, or approximately 7.1% of the total national debt. “Oil exporters” include Ecuador, Venezuela, Indonesia, Bahrain, Iran, Iraq, Kuwait, Oman, Qatar, Saudi Arabia, the United Arab Emirates, Algeria, Gabon, Libya, and Nigeria. The “U.S. Civil Service Retirement Fund” is the Federal Civil Service Retirement and Disability Fund. The “U.S. Military Retirement Fund” is the Department of Defense Retirement Fund. The “Social Security Trust Fund” is the Federal Old-Age Survivors and Disability Insurance Trust Fund. U.S. Treasury Department. Monthly Statement of the Public Debt of the United States, September 30, 2010. Table III – Detail of Treasury Securities Outstanding, September 30, 2010. U.S. Treasury Department. Major Foreign Holders of Treasury Securities. (At end of September 2010). Accessed 11 March 2011.